Are you interested in doing business in online Motorcycle Buy And Sell Platform, we proudly presents our new and steadfast marketplace website for bike and motorcycle buy sell services. Nowadays a website is required to promote your product or services in the internet media, to showcase it is necessary meet a professional web design and development firm so you are in the right place to have best website for motor bike classifieds portal. Through our readymade classified portal, start your daydream automobile website within two minutes. In Buy Sell Bike Marketplace Script, we do not restrict our design at any instance, being a spoken design you can feel a responsive and smooth navigation around the web portal. Through social login one can sign up to the website. In the home page, it shows advanced search filter like selecting bike model, year, and nearby location. As well as you can easily access through bike category like sports, adventure, cruisers etc. A user can become a merchant to sell their products in the web portal by simply clicking list your bike button, once the ad posted admin will verify and make it live in the dashboard. In the bottom of the page, recently added products are shown collectively. Merchant can have their profile and maintain the posted ad detail with clear dashboard. We have incorporate the feature of used bike selling concept. Once the ad become live you will get email notification of the advertisement status. One can set the email preference when user commented on the post, email notification of the latest update, newsletter subscription and more at an ease. The salient features includes adding favourites, following and follower list, account setting, name, contact, location updates and internal mailing system. Admin will manage user members, posted ads, mailing system, subscription plan and more. It is much easier to handle the website even if are not come across the coding part. Used Bike Selling Script is developed with leading optimization technology standards of our SEO experts and this conceptual assist you to promote your script that connects with the world. Our Gear Bike Marketplace Script possess heavy customization flexible according to the business models. 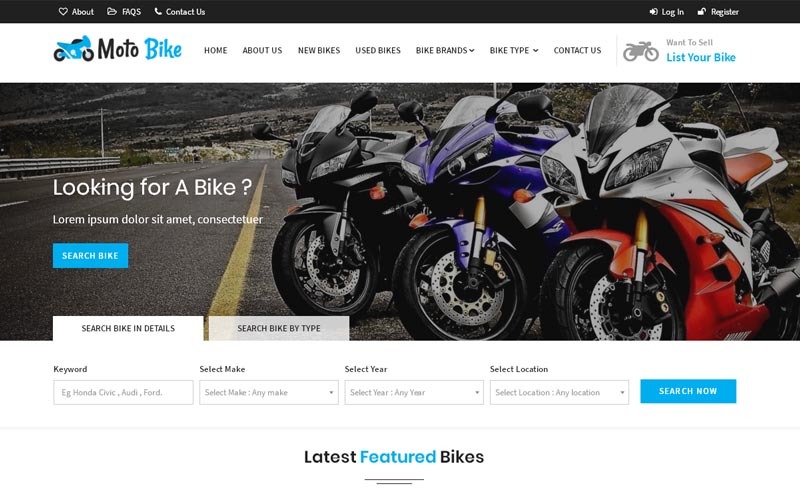 After purchasing our script it be live within 12-24 hours on your server, being the professional expert in the classified listing for motorbike and automobile portal you will have wonderful solution bike buy and sell business.